The Shimano brand is synonymous with the good biking and fishing gear. 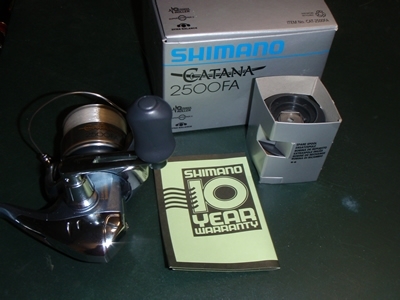 With a vast selection of fishing gear from the budget range to the downright lavish, the Shimano Catana FA is a reliable reel at a reasonable price ($80-$100 range). I was looking for a general purpose reel for light estuary fishing (bream, whiting etc) and something to use soft plastics and squid jigs with. I chose the 2500 of the Catana range, which is perfect due to its light weight and robustness. The first thing I noticed about the reel was its precision drag. The drag is easy to set and is of quality you would expect from a much more expensive reel. 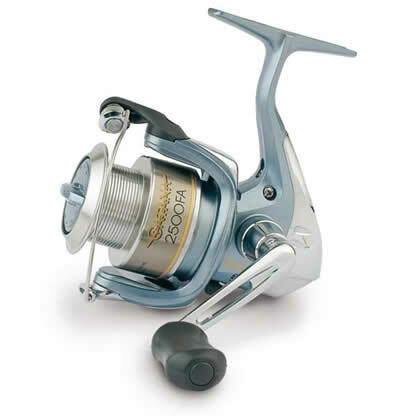 The reel is made of quality solid parts and also has a second, albeit non-aluminium, spool and is backed by Shimano’s famous 10 year warranty. Overall, a great little reel at an affordable price.